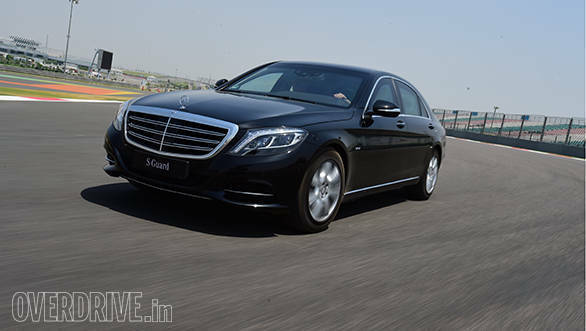 The S-Class has always been one of the best luxury cars in the world but it is now also one of the safest. I had the privilege of a small experience at the BIC and have come away convinced that this is one of the most incredible machines I have driven. This is what makes the S 600 Guard such an awesome feat of engineering. What makes a Mercedes Guard car? In this case, close to 2 tonnes of armour. 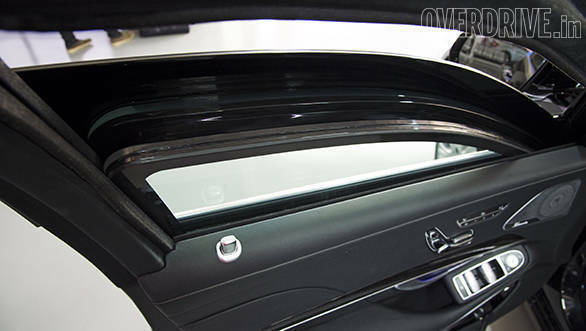 It's almost impossible to penetrate the cabin of an S 600 Guard unless you have a small army at your disposal and even then, it's going to be no easy task. The passenger cell is what's carrying the precious cargo and gets the most reinforcement. The doors, glasshouse, roof, firewall, bulkhead and floor in particular. The underbody floor protection is almost complete except for some small gaps near the exhaust area. Mercedes claims this is a segment first. The windows are well over an inch thick and consist of five layers and include an infusion of polycarbonate to prevent splintering. The windscreen of course is similarly thick - so much so that vision distorts around the edges, and Mercedes says that working around this was one of the biggest challenges. The entire assembly is strong enough to fend off multiple shots from an assault rifle. The doors also get massive metal reinforcement - for perspective - a single shot from a Magnum .44 can penetrate eight of the metal panels that each make up an average car door. The S-Guard on the other hand can resist sustained automatic rifle assault. All that metal, glass and composites result in a door that is incredibly heavy and takes a lot of effort to close. How heavy you ask? Over 150kg per door and and a window so hefty that a hydraulic motor had to replace the standard electric motor from the normal S. Thankfully a soft close feature pulls the door shut when it makes enough contact with the frame. What does all this protection amount to? According to the European BRV testing standards, the S-Guard sits at the very top with a rating of VR9. In comparison, the E-Guard and ML-Guard can achieve a maximum of VR4 and VR6 respectively. But what does this mean? It's essentially a rating standard of upto what caliber of bullet the car can repel. In simple terms, VR4 is good for Dirty Harry choice of handgun - the mighty Magnum .44. VR6 can handle an AK47 which is really impressive. However, at VR9 you're not just talking about full on military spec automatic rifles but also dual grenade attacks (HG85 grenades for those of you wondering). And that comprehensive underbody protection helps deflect the shock from an IED attack. Literally bomb proof. These are not just Mercedes' claims - the cars are actually tested by individual agencies in the most torturous way imaginable. First, the car is shot with a variety of weapons at different ranges for a total of 500 shots. If even one were to penetrate into the cabin the test would fail. This bullet riddled car is then subject to an explosion test that completely engulfs the car in flames. Mercedes showed us videos of some of the tests and they are as awe inspiring as they are violent. An armoured car certainly needs to be safe but it also has to make a quick getaway. But there's a big problem of weight to deal with. A standard S 600 weighs nearly 2.3 tonnes. Add the weight of the armour and it goes well over 3.5 tonnes. But then the suspension and brakes have to be upgraded too. So you're looking at more weight from reinforced steel springs for the air suspension as well as an additional supporting spring at the rear. The brakes are uprated to monster six-piston discs up front and beefier units at the rear to deal with the massive stress of slowing this behemoth down. All the electronic stability programmes and ABS have been recalibrated to work with the added weight. 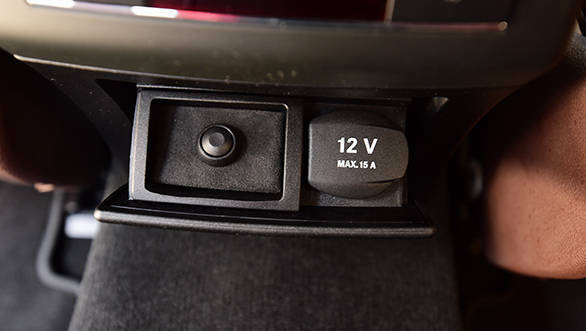 The self levelling feature in the air suspension ensures ride height is maintained despite the massive addition of weight. A tremendous amount of effort and engineering has gone into ensuring the S-Guard stays composed and capable despite weighing close to 4.2 tonnes. 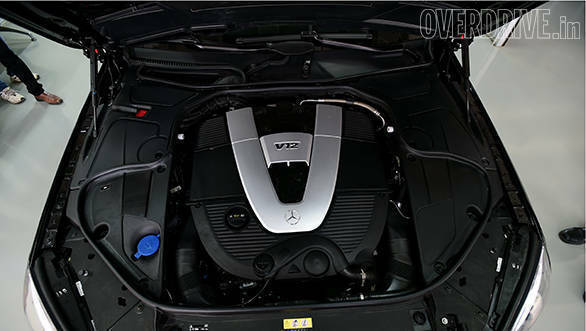 Generating speed is not a concern - the 6-litre twin turbo V12 makes sure of that. The silky smooth engine is the same as on a standard S 600 but feels eerily refined and quiet inside thanks to the the thick doors and glass. Under hard acceleration, the 530PS/830Nm generates a loud bellow on the outside but passengers are treated with a muted growl. It's enough to let you know there's something big under the hood but doesn't burden with excessive noise. The S drives smoothly off the line no matter how hard you try to launch it and surges forward on a massive wave of torque fed to the rear wheels via a 7-speed torque converter. Top speed has been limited at 210kmph keeping the weight in mind and there's little doubt in my mind that the massive Guard will hit that number quite easily. Perhaps the biggest triumph is that the initial impressions (aside from shutting the door!) are just like a standard S. The plush interior is almost identical, the steering wheel is light and on the smooth BIC the car floated along with the same ultra luxurious feel. The difference, however, was immediate in a simple slalom test. At low speeds, the weight is definitely perceptible but very well controlled. However, as the speeds rise, the sheer mass of the vehicle rapidly becomes apparent. This is where things get tricky. 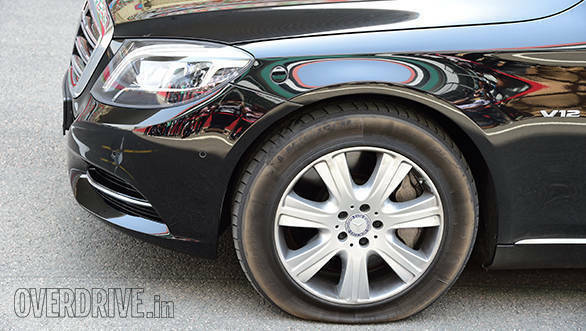 The S 600 offers quite a bit of grip and can be pushed a fair amount but once the limit is crossed, you suddenly have 4.2 tonnes trying pull you off the line and there's not much the tyres can do at this point. Driving an armoured car fast, I have discovered requires a lot of attention towards keeping the car near or just under limits. Once crossed, trying to get things back under control is considerably more difficult than in a lighter road car. Marcus, our driving instructor, pointed out how driving such a heavy machine magnifies the positives of using the brakes as little as possible and steering with the throttle. Hard braking produces considerable dive and overburdens the front tyres making them push wide. Using the gas results in a more rear bias that pendulums the car around a corner. It's a valuable lesson - no matter the machine, physics remain constant. Braking itself is adequate as there's only so much the brakes can do. Over enthusiastic speeds are easy given how deceptively smooth the engine is but hard braking needs a very strong push of the pedal which starts to feel soft. This can produce a sickening fear of whether the car will slow down in time. The last thing I want to do is crash one of the most expensive cars in the country! Given the weight and purpose of the vehicle though I am hugely impressed with how well Mercedes has been able to engineer the dynamics. Let's talk luxury first. Despite being closer to a tank than any production car before, the Guard offers the same obscene levels of luxury as a standard S. The seats feel heavenly and the headrests are so soft that it feels like you're being cradled by god himself. Quality and finish are outstanding and everything is where you expect it to be. But look closely and you'll find a few differences. The windows, for example, do not have an auto-up function and you'll be glad for it when you find out why. The S-Guard has no anti-pinch function. What that means is that if someone from the outside is trying to attack through an open window, all you have to do is hold the button up. A hydraulic window motor without anti-pinch - I'll leave the morbid maths to you. The driver and all passengers have access to an innocuous little black button that when pressed produces a shrill alarm. In the front console, where cup holders would normally be, lies an array of James Bond like buttons. These command multiple features like releasing a shot of stored clean air in the cabin in case of a chemical attack, closing off all access points for exterior air. You can also manually set off the fire extinguisher system which otherwise works automatically to detect and extinguish any fire under or in close proximity of the vehicle. Passenger safety is paramount - the rear seatbelts even have small airbags in them, a technology that Mercedes debuted in the new S. When I casually asked Marcus how many airbags there are in this car, he laughed and said there are too many to count. Then we come to the Michelin PAX tyres (a pioneering technology that Michelin abandoned in 2008 making the S-Guard one of the only cars in the world to run this tyre). The PAX uses a special rim that supports a polycarbonate central rib in the tyre. This rib allows the tyre to be operated even if it is fully empty for a distance of about 30km - plenty enough to escape the danger zone. The plus side of this technology is that the side-wall doesn't have to be super-stiff like in other run-flat tyres which results in better ride comfort. Mercedes actually demonstrated a run with a deflated tyre and the Guard ran through the slalom course just as fast as with a fully inflated tyre. Buying an S-Guard includes two free seats on Mercedes' driver training programme. The programme is conducted in Germany and trains drivers on not just car control and evasive techniques but also smoothness. After all we don't want any spilled champagne in the back seat now, do we. For bulk orders of 15-20 cars (yes this actually happens! ), the company will ship a selection of armoured cars and source more standard cars from local dealerships to train the drivers in the country of origin. Training cars will belong to the company as Mercedes doesn't want owners to stress their brand new vehicles. 'Doctors' are always at hand to fly to any location and aid in repair or problem solving. That's the level of luxury with machines like this. Mercedes claims the last gen S-Guard was sold in 91 countries and owners can have routine services done in almost any dealership. The car even comes with a standard warranty. I think the answer to this lies in the perceived value of a life. To mere mortals like us, this car is from another world, a fantasy we neither need nor particularly want, but fascinating none the less. 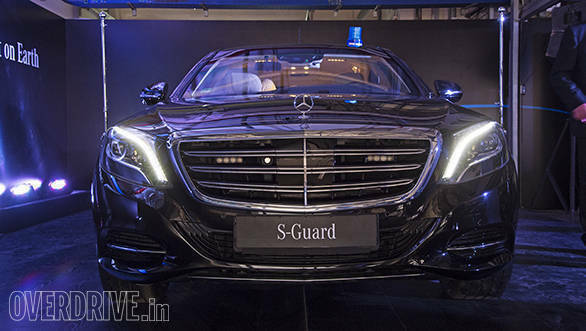 Anxious ultra-wealthy businessmen and or members of the murkier side of society might consider such a vehicle but even they should find their needs met by the E or ML-Guard that exist at a more realistic price point (between Rs 2 and 3 crore). 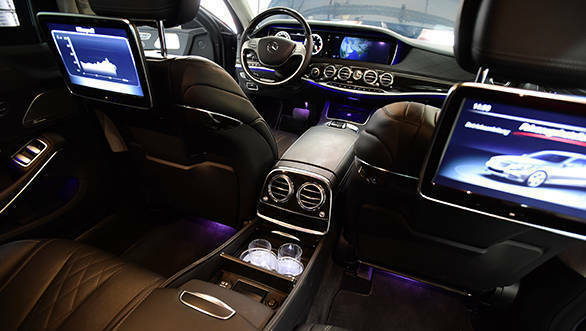 But a car like the S 600 Guard is in a whole different realm with its starting price of Rs 8.9 crore (Mercedes says the customisation options are practically endless). It's an incredible machine at an unimaginable price and only for the most important people on the planet. I was lucky enough to get a taste of it.